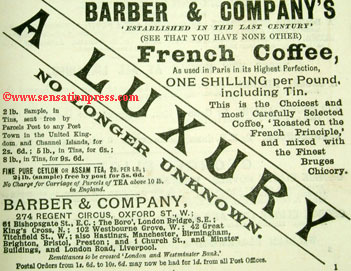 Barber & Company's French Coffee. 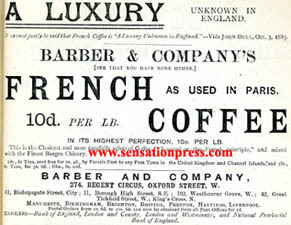 'French coffee as used in Paris in its highest perfection, one shilling per pound including tin. This is the choicest and most carefully selected coffee, "Roasted on the French Ptinciple,"